Debe realizar reservaciones con al menos 5 minutos de adelanto en Guadalupe Inn. Food was really great. Sadly, the restaurant was quite slow for a Wednesday evening. When we arrived at 7:45pm, we were the only diners in the dining room for about 20 minutes. The service was lovely, with the drinks and food arriving very quickly, but we did feel a bit self-conscious. We'll have to come back on the weekend to see if the energy picks up. So much fun! Second time visiting them and truly enjoyed everything! From the attentive host, amazing skilled bartender with great attitude and service was spot-ON! Food was delicious and came super fast! Lastly, their live music is AMAZING! 2 different performers each time I went, and both time it was great! Definitely going back! This place is very cool, live latin music every night and excellent food. Just be aware that sometimes the music is mellow and sometimes it is loud and more energetic. We had loud music and it was hard to talk at a table of 5, it was fun and the music was good it was just a little unexpected. There was a table of 15 girls next to us at a bachelorette party, they got into and were invited up on stage and danced with the band. Fun for a group just don't intend to have any deep conversations unless you are sitting right next to that person. We loved Guadalupe Inn and look forward to going back soon! Amazing food and service. Jasmine was the best server ever. I don’t think i would return to this restaurant. Both waitresses i dealt with seem arrogant and not trained accordingly. I would say when the server was asked to bring sparkling water since i didn’t want tap water the bottle was taken to the table with no cups to pour it in (odd). Nicole was very dismissive in which i literally had to get up myself and walk to the bar to get napkins. I was then given a mojito with no straw to drink from and the ones provided were not for the tall cocktail drinks. I was very disappointed with the service/staff... i literally asked for my tab once i tried the appetizer —-drinks i didn’t like or couldn’t even drink, the appetizer was good but the service provided effected the enjoyment and the entrees i never took with me which totaled a $170 tab that was a waste of time and money. Came here on a double date and it was great. The atmosphere was very energetic and the live Cuban band added to the ambiance. The food was good we had the queso fundido, fish, steak and steak tacos there were no complaints from anyone. Our waitress Nicole was friendly and the drinks were mostly good the watermelon and grapefruit margaritas are worth order. My boyfriend had a mojito but it was too tart so he ended up just ordering whisky on the rocks. Overall a fun time. Food was great! Very beautiful place! Can’t wait to go again. This place always hits all the marks. They work hard to deliver their customers a consistent, high quality experience. The live music transports you, the food is authentic and full of rich Mexican flavors, and the drinks...well, they are dangerously irresistible. Bravo. The food and the ambiance were great! Estaba bien. 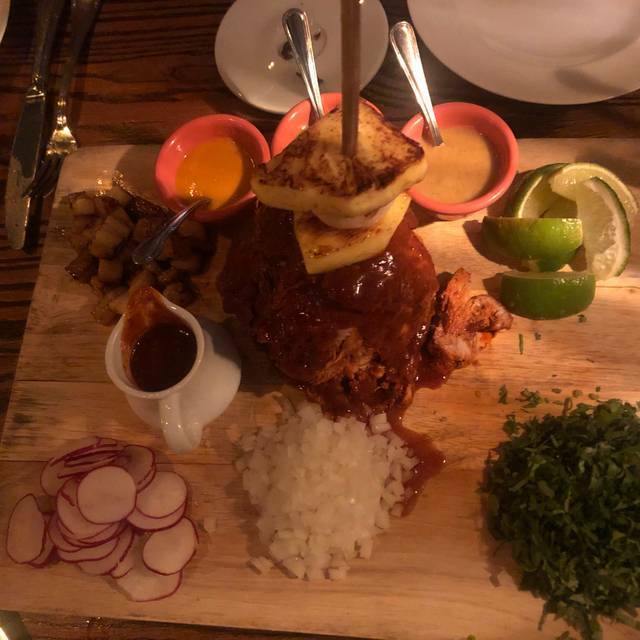 Tienen comida rica y muy autentico pero el menu de mezcal es un poco pequena. My birthday dinner went without a hitch. They were super accommodating as we bought our own cake , and we were a big party. The music and ambiance were perfect for a group dinner. The food was great. Highly recommended for a group night out or a date night. It is unfortunate that the overwhelming and rushed service overshadows the entire experience especially the meal. Food was fantastic; but for the value of the food and drinks, I shouldn't feel like I am being watched. We were a party of 4 in the high chairs section, place had empty seats and we were interrupted constantly by the waitress - it became obnoxious since this was all happening while we were eating - to the point that she spilled a beverage. We even had to tell her that we were not done with our plate because she wanted to remove it - more than one time. What a nice, cozy gem in Bushwick. Inventive menu, great selection of tequilas, attentive but not pushy service - just a great friendly place - highly recommend. Great music , food was flavorful, the atmosphere was hip and energetic, the service was attentive but not annoying. It gets a little loud with the music and conversation, but overall a great date or group experience. Absolutely amazing! Went here to celebrate Valentines Day & our engagement celebration dinner, and every aspect was amazing!! The Guacamole was amazing and most importantly... FRESH!!! The tacos and the carne asada steak plate were both the best Mexican dishes I have ever had!! Book early as reservations go quick sometimes!! Definitely recommend! Guadalupe inn great spot for food , drinks and music. Had a great time with my friends I had the pulpo in the Berry mole sauce it was tender , crispy and Savory. The waitress Paloma was attentive , knowledgeable ,and patient. All in all a fun energetic spot. good for dates , friends ,or mature family hangouts . Not a place for kids , teens or babies. Love this place. Food is fantastic and the atmosphere was lively. The musician performing was great. Lovely restaurant with great drinks, service and music. A little hard to hear the music sometimes, but a lot of fun. Be advised though that they only allow you 2 hours at the table and there's a $10 surcharge for the music if you are seating by the stage. Perfect for good vibes and group conversation. We were welcomed and attended by 3 people. The service was great. We had our 18 month old son with us and didn’t bother to ask for a highchair, the staff didn’t seem bothered by that. The food was nicely plated and delicious. The drinks were also delicious. We enjoyed our experience and plan on returning for a date night. Always looking for spots with gluten free options! Could use some more dairy free options though. 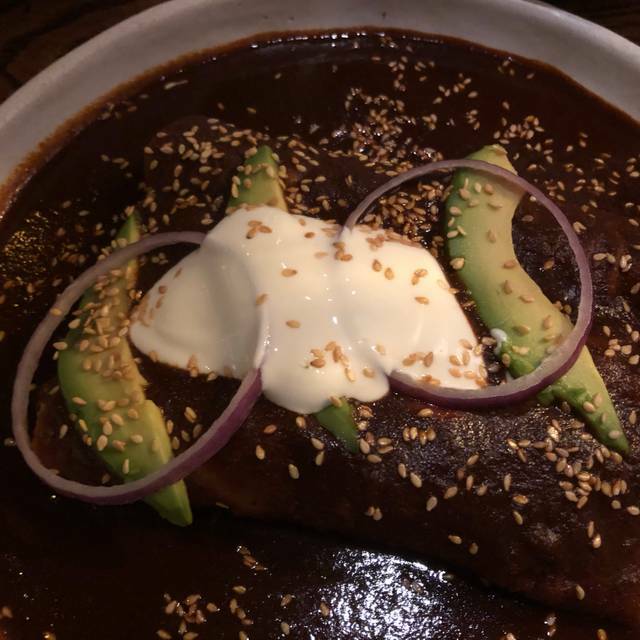 Great guacamole and chips, great mole. Amazing food, atmosphere, and service! It was our second time to Guadalupe Inn, and it surely will not be our last! Music, ambience, seating were all top notch! Comfortable large tables to accommodate and squeeze people in. Music was upbeat and entertaining. 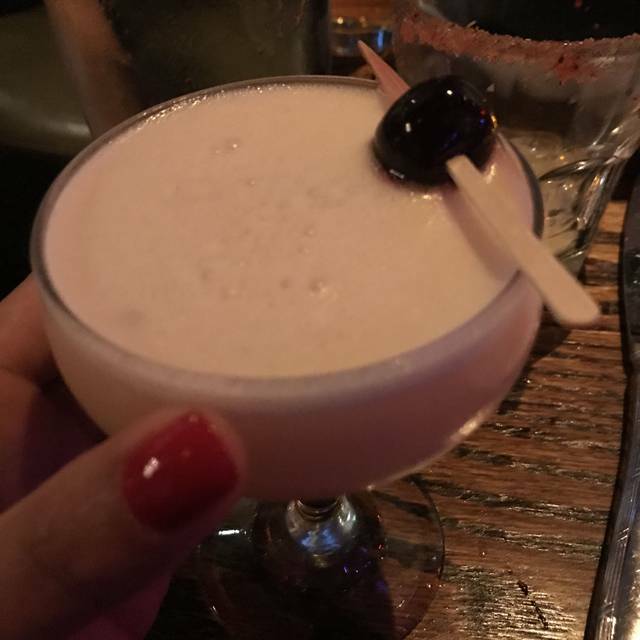 Cocktails were fresh and tasty! Loved the options of food - definitely a great menu to allow sharing! Can’t wait to go back. Our server Ronaldo was attentive, friendly, and knowledgeable about the menu. His friendliness and swiftness really added to our experience there. When I return I will definitely ask for him again. Our food was incredible. Everyone loved their appetizers and meals. Drinks were ok, a little overpriced. Overall a great place, will definitely be returning and recommending to family and friends. Food, decor, drinks, and entertainment was all enjoyable. Amazing New Years eve dinner. Everyone was great. LOVE this place! On Christmas Eve, my partner and I enjoyed the tasty enchiladas verdes and the carne asad tacos in the ambient light of this pretty restaurant. They even gave me horchata when I asked for it, even though it wasn't on the menu! The tres leches of chocolate was also sooooo good! This was a very nice, upscale Mexican-inspired restaurant. I would call it more bourgeois or boojie than authentic though. I'd recommend it if you are out in Bushwick, otherwise I may stick with other upscale Mexican places closer by. It's hard to tell if I would recommend this place to a friend. I came here around 3 pm with my family to celebrate my grandmother's birthday however I assume that most people come here for the live entertainment which starts around 5-6pm. So my review is simply based on service and food. The food was good. I'm Spanish and I grew up on a variety of spanish foods, so maybe I'm being too judgemental but I didn't find the food exceptional. In a matter of fact, I found the breakfast better than the rest of the food. Service was "ok". The waitress seemed bothered to be there.